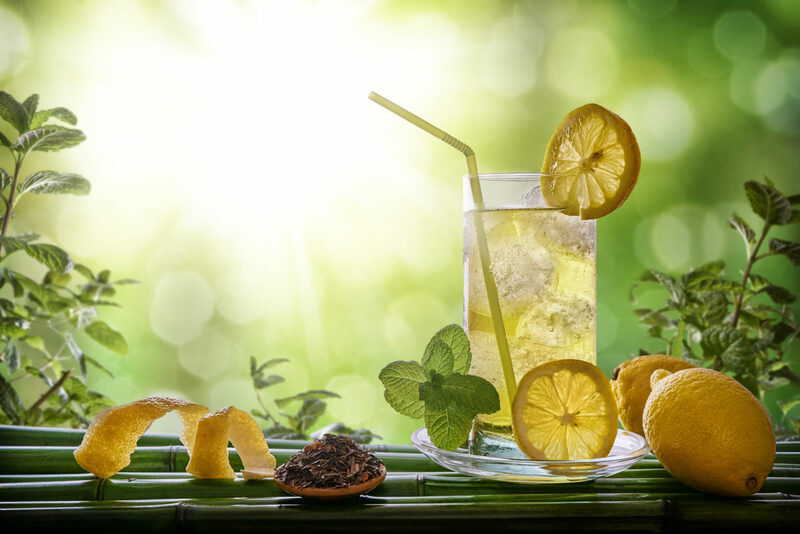 Refreshing drink with mint and lemon in a glass with ice on bamboo canes. It’s super hot everywhere this summer. What end cap do you have to promote products to help your customers stay cool? Here are 10 ideas to consider. Shatavari belongs to the same family as the common asparagus and has nourishing, soothing, and cooling properties that help reduce pitta—one of the three main doshas in the body, according to Ayurveda. Accumulated pitta, or heat, in the body and mind leads to imbalances in the body. Display it with Bacopa (below), other cooling herbs, and some books about Ayurvedic medicine. Bacopa is another cooling herb that is considered the most potent and effective nerve and brain tonic in ayurvedic medicine. It has been used for centuries to help people of all ages learn and remember new information. It is also used to treat mental illness, anxiety, depression, memory loss, epilepsy, and psychosis. Mint supports digestion and sweet breath. Display it with lemons and a recipe card for lemonade that includes a variety of sweeteners including stevia, raw cane syrup, honey, monkfruit, etc. Coriander is the seed of the cilantro plant and can be used to flavor meat and vegetables. You can also use coriander in a BBQ rub or in a savory Indian curry. Medicinally, take coriander to support digestion and stabilize blood sugar. Display with it with Indian curry products and BBQ spices. Cardamom is great for digestion and is delicious added to iced herbal tea, home-made ice cream, smoothies, and yogurt. Display it with almond milk and a recipe for making a delicious cooling beverage. Hibiscus tea is popular in the tropics and is often sweetened with cinnamon or other spices. Display it with cinnamon chips and dried rosehips. Algae and Aloe vera products hydrate the skin and soothe sunburn. Display with sun block products. Dr. Bronner’s peppermint soap is so refreshing. Display it with essential oils such as rosemary, peppermint, wintergreen, and lemon, which are all energizing and cooling. Face masks that include Aloe vera, algae extract, and cucumber extract calm and balance overheated, dehydrated skin. Display with recipes on how to make your own Ayurvedic masks with ingredients that you display. Please contact me today to help with copywriting for banners, brochures, sell sheets, and newsletters to promote cooling summertime products. I can help you with innovative ideas and provide details about the ingredients, along with recipes. Have you registered with the OWL yet? How to get on the list of health practitioners’ recommended supplements?